The second day of the Warsaw Summit of Nobel Peace Laureates was dominated by the questions of human rights and social inequalities. Panellists called for, e.g., greater social activism and redesigning of capitalism. It was said that violation of minority rights is too frequently accounted for with threat of terrorism. On the second day of the Summit two panel sessions were held: ‘Hear Us! Inequality and Social Justice’ and ‘Human Rights: Threats Yesterday and Today’. Sharon Stone, the Summit’s guest, visited the Polish Parliament on Tuesday and met with the Parliament Speaker Ewa Kopacz. On Wednesday, the actress is to receive the Peace Summit Award. Lech Walesa said during the first session that both democracy and capitalism in their current shape are not ‘perfect concepts’. In his view, practical democracy in place in Poland, perceived, e.g., as citizens taking advantage of their democratic rights, rates at below 50%. Poland’s former President argued that social justice cannot be achieved without ‘a necessary programme and structures’. Therefore he urged everyone to actively participate. ‘Too few people are committed, that is why neither justice nor equality can be implemented’, observed Walesa. The need to redefine capitalism aimed at profit maximisation was the issue raised by Mohammad Yunus, the Nobel Peace for struggling against poverty. ‘Money making has become an addiction to us. We should be establishing non-dividend companies, concentrate on social businesses’, argued the Laureate. Shan Cretin of AFSC pointed, in her turn, to the fact that giving access to privileges often implies depriving somebody else of them. ‘We find it hard to understand poor countries because we have separated ourselves from them. The problem is not that their voices are not loud enough, but that we choose not to hear them, that is the unpleasant truth’, emphasized Cretin. Colin Archer, Secretary-General of the International Peace Bureau raised the point of the disproportion between the resources spent on arms and on aid for particular countries. ‘The total of the official aid supplied to the needy countries amounts to ca. 1.3. billion dollars. We spend ten times as much on military, i.e., 1.7 trillion dollars. We should redefine our priorities’, he called. His view was shared by Jayantha Dhanapala, Pugwash President. ‘We must spend less money on military in order to build more development for people’, stressed Dhanapala. During the second of the Tuesday sessions: ‘Human Rights. Threats Yesterday and Today’, South Africa’s former President Willem de Klerk raised the issue of the violation of minority rights in democratic countries, the procedure often accounted for with the threat of terrorism. ‘But this is only an excuse; the goal is to make people feel scared’, he judged. De Klerk pointed to the fact that at the moment one in every three people in the world belongs to a minority in their country. ‘We must pay more attention to community human rights which are those related to religion, culture, and language’, he argued. The Iranian lawyer Dr Shirin Ebadi emphasized, in her turn, the need to realize how interdependent we all are. ‘Instead of sending bombs, let us build schools’, she called. Moreover, she said: ‘rights of women and their situation in many Muslim countries are extremely difficult, as they are being discriminated ‘. Ebadi challenged the opinions that the latter stems from Islam, as ‘Islam just like other religions can be variously interpreted’. ‘In that part of the world, patriarchal culture is extremely strong, and what is more, countries of the region are governed by despots who provide their own interpretations of the religion’, explained Ebadi. Lee Hoesung of IPCC, in his turn, raised the question of man held responsible for global warming. He emphasized the impact of the Climate Change Conference to be launched in Warsaw on 11 November. ‘We know one thing for sure: the climate conditions we have grown used to, may drastically change and we must get ready for this. The change may influence our economies and our daily life. We must be prepared’, said Hoesung.  Initiated in 2000 by Mikhail Gorbachev, the World Summit of Nobel Peace Laureates was initially held in Rome for eight years, and since 2008 it has been organized in Berlin, Paris, Hiroshima, and Chicago, for the first time being hosted in Poland.